Wisdom teeth are one of the biggest mysteries of the mouth. We don’t know when and how they will erupt gracing us with their presence. Each and every one of us faces different experiences with our wisdom teeth, and until a dentist confirms no one can find them, they are in. Surprisingly, some people don’t even have one wisdom tooth while some get two and others get none. It is said that it was once helpful for our ancestors who lost their teeth at a very young age, by their teens due to their food habits. With development, we don’t even have space to accommodate the third molars as we don’t lose our teeth at an early age. So we are often suggested with wisdom teeth removal Melbourne. How to tell if it’s Your Wisdom Teeth Coming in? Jaw pain or pain in the back side of the mouth. There may also be some swelling experienced. Intense pain radiating towards the eyes, head, and ears may indicate abscessed wisdom tooth. A pressure in the gums in the back side of the mouth. Persistent headaches may also occur when wisdom teeth are making their way down, where there is no enough space for them in your mouth. Pressure can build up around the tissues and the adjacent teeth structures resulting in significant pain. There may also be some visible swelling in the gums. When should I Undergo Affordable Wisdom Teeth Removal Cost Melbourne? Just because you have reached your teens, and have got some symptoms of the erupting wisdom teeth and your dentist confirms your wisdom teeth are erupting, it doesn’t mean you have to have them removed. There are also cases, but very rare, where the wisdom teeth have grown correctly supporting the oral cavity. 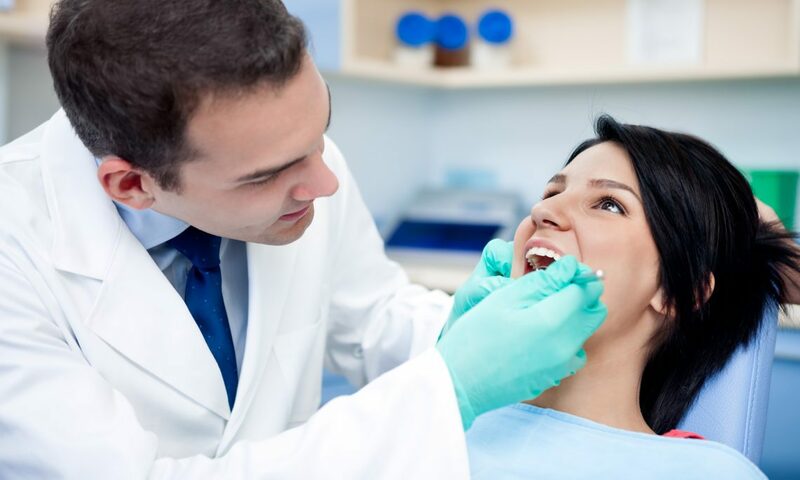 If your dentist finds your wisdom teeth to grow infected with an x-ray or causes crowding of your teeth, he will recommend you removal of wisdom teeth Melbourne. Impacted teeth are the ones that are blocked from growing properly due to lack of space. So, with no other options, they remain below the surface of the gum line growing horizontally instead of standing upright. 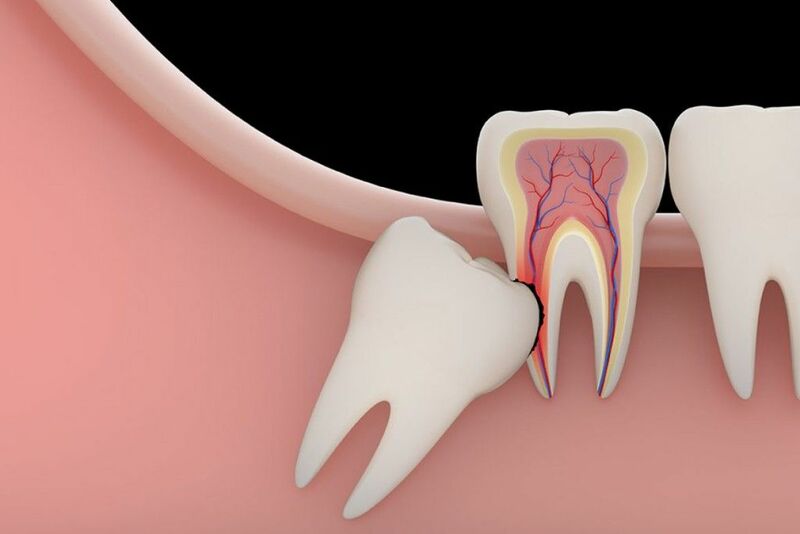 Keeping an impacted wisdom tooth in your mouth that grow horizontally sprouting over the gum line making a very small opening is vulnerable to accumulate bacteria and plague. This is very bad and has to be removed because they may lead to much larger infection and also affect the adjacent teeth. In some cases, the root of the impacted wisdom teeth also possibly collides with the nerves underneath the jaw resulting in extreme pain. If you are in your teens, your dentist will start examining your wisdom teeth eruption when you visit him for regular dental check-ups. Once he identifies a problem, he will suggest you with removal, and it is always wise to have them removed as soon as he suggests. With a qualified dentist have wisdom teeth removal Melbourne to live a healthy life! Do my wisdom teeth need to be removed? How long does it take to recover? When your dentist suggests wisdom teeth removal, these questions may arise in your mind, and it doesn’t stop it goes on and on. Probably which is why you are here reading this blog to get the answers to your queries. Don’t worry; you are in the right place, we are here to help you feel informed and comfortable about undergoing wisdom teeth removal. 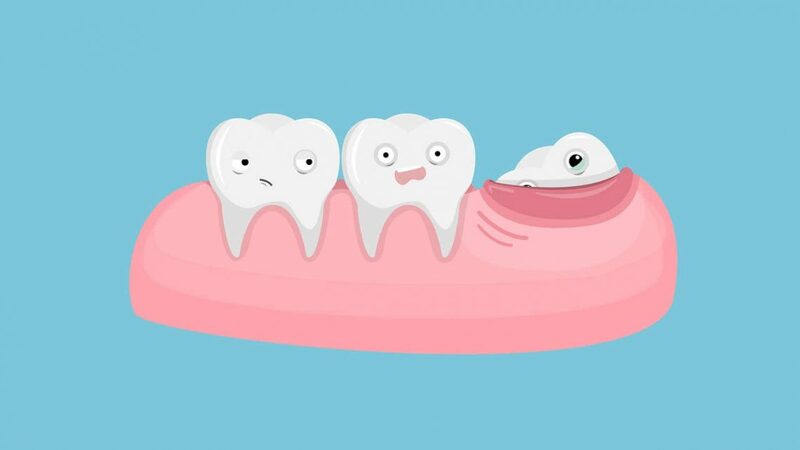 Wisdom teeth are the third set of molars that usually emerge in the ages between 17 and 25. When it is properly aligned and healthy, it is a valuable asset to your mouth. But, often, they do not emerge in completely and creates several problems for your oral health. Yes, they may be misaligned and needs removal. While some have all four wisdom teeth, some may have one or two or none at all. When there is no space in the jaw-line to accommodate a wisdom tooth, it gets trapped under the gum and becomes impacted. 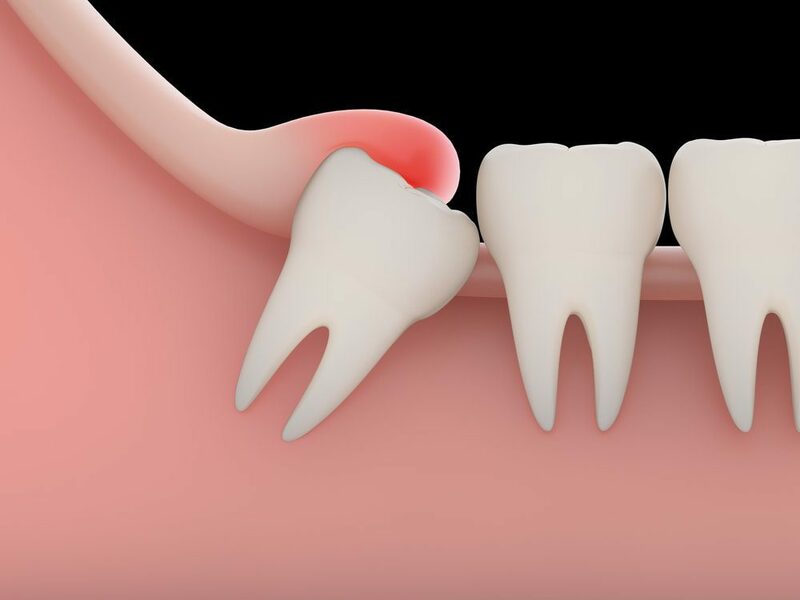 An impacted wisdom tooth can create an array of dental problems like throbbing pain, infection, tooth decay, gum disease, tooth crowding and formation of cysts. What is the cost of wisdom teeth removal cost in Melbourne? The type of impaction, the number of wisdom teeth to be removed, additional procedure, the complexity of the procedure and anaesthesia are the factors that influence the wisdom teeth removal cost in Melbourne. If you have dental insurance, you can reduce the cost of the procedure. Speak with your insurance provider and the dentist about payment plans. No, not all wisdom teeth Melbourne are removed. Healthy wisdom teeth that fit in the mouth are not usually removed. Wisdom teeth which have not erupted completely or partially emerged that makes it difficult for cleaning and flossing needs to be removed because they can damage other nearby teeth. Should I see a specialist for wisdom teeth removal? A dentist can remove your wisdom teeth. However, if your wisdom teeth are impacted, you may need to consult an oral surgeon. An oral surgeon can deal with complex removal procedures efficiently. Wisdom teeth removal in Melbourne is the most common procedure, and it takes two weeks to recover completely. Looking after the surgical site properly can help you heal as early as possible. Moreover, don’t forget to follow the post-operative care instructions suggested by your dentist. Failing to do so will not only prolong the healing process but also increase the risk of infection. No, wisdom teeth removal is a painless procedure! It is done under anaesthesia, so you will not experience any pain during the process of extraction. 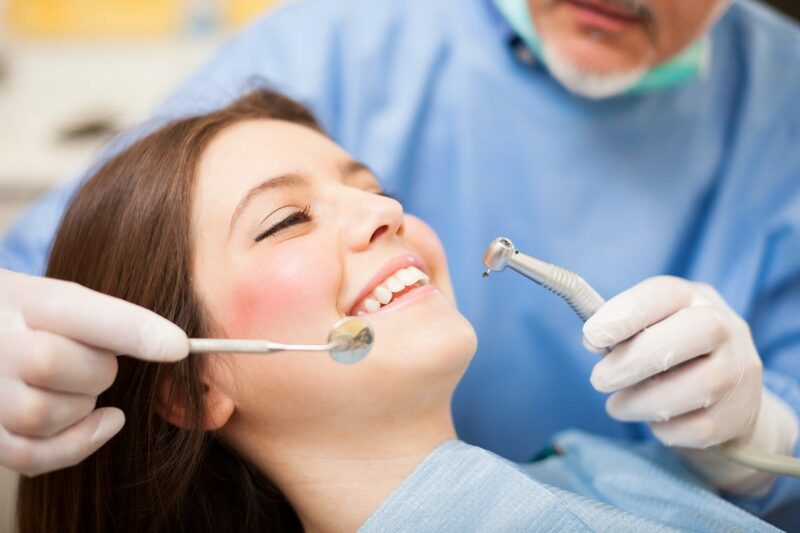 You can opt for sedation dentistry to make you feel more comfortable during the procedure. Speak with your dentist regarding your sedation options. Wisdom teeth removal is a surgical procedure to remove unhealthy wisdom teeth. If your wisdom teeth don’t have enough place or room to grow, as the result it knocks your teeth with pain and infected gums. So it’s safe to remove your unhealthy wisdom teeth before it cause problems. Here in this blog, let us discuss about the procedure of wisdom teeth removal in Melbourne. The dentist will ask you to take an x-ray of your mouth to examine how deeply your teeth and gums are infected. After examining your teeth, the dentist will discuss the wisdom teeth removal cost in Melbourne with you before the procedure begins. 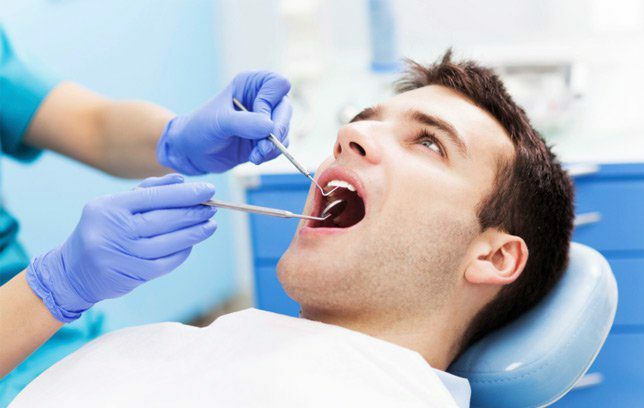 Before having your extraction, the dentist will inject the anaesthesia on the gum nearby the infected teeth. This will numb the surrounding area of the wisdom teeth and avoid inconvenience. First the dentist will try to remove the teeth without cutting the gum, if he/ she can’t remove it, a small cut will be made on the gum and teeth to remove the teeth easily. The bone which covers the teeth will also need to be removed. During this process, you won’t feel any pain, because the place will be in numb mode due to anaesthesia. In case if you feel any pain, inform it to your dentist, he will take care of it with proper medications. .
That’s it, the procedure will be over within 20 minutes. After surgery, there will be little pain. To avoid it, take the medicine and follow the instructions given by your dentist. Place some gauze over extracted area and put some pressure over it. That avoids bleeding and pain. For 24 hour avoid rinsing, drinking alcohol, tea or soup and smoking. Try these few nutritious food which I mentioned below, to heal your wound faster. Experiencing the symptoms of unhealthy wisdom teeth? 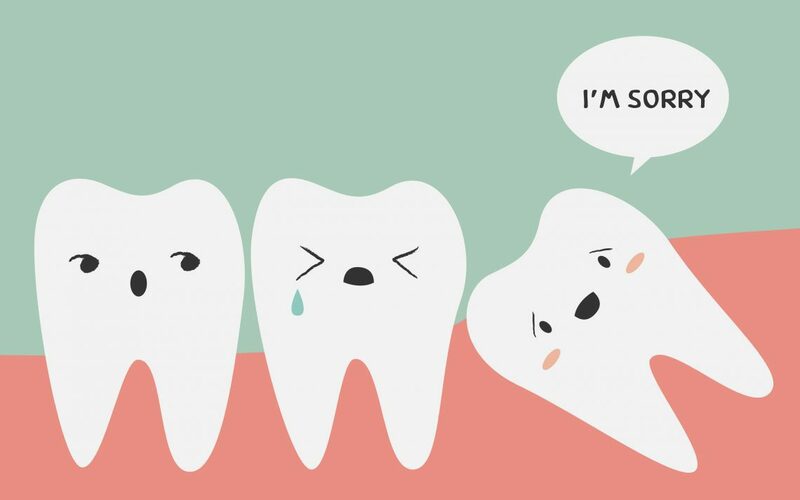 Don’t wait for the pain, be quick and book an appointment right now and get out your wisdom teeth in Melbourne. The third molars are the last set of teeth that grow at the back of the mouth. Their development and arrival can begin anytime during the teen years or by mid-twenties. These molars, also known as the Wisdom teeth become impacted when they have no space to break through your gum line. Removal of wisdom teeth is a standard dental procedure that is painless. During the procedure, first local anaesthesia will be admitted to the affected area. Once the area is numb, the oral surgeon would make a small cut and remove a small portion of the bone covering the wisdom teeth. He would then break the wisdom teeth in to smaller pieces for easy removal and remove all the broken pieces with no residue left, clean thoroughly and suture it. Apply a pack of ice to the cheek area near the surgical spot. Bite down a piece of wet gauze if bleeding continues. If bleeding does not stop, place a wet tea bag in the surgical area, the tannin in the tea would aid in clotting of blood. Gargle with lukewarm salt water at regular intervals to maintain oral hygiene. Also, change the gauze, used for every thirty minutes to prevent infection. Take the complete course of antibiotics prescribed to prevent any infections or complications. Lying flat will increase blood flow to the wisdom tooth extraction site. Keep your head elevated for a few hours after the procedure. Take only liquid diet for a few hours after the procedure. Move on to soft foods gradually. Avoid foods that are hard until the surgical wound heals. As your food intake will be less, take plenty of fluids that can give you the necessary nutrients and keep you hydrated. For easy healing, avoid hot and spicy food. Avoid any strenuous activities or exercises for at least twenty-four hours after the procedure. You must take rest after the procedure, so plan your work schedule accordingly. Strictly avoid smoking, chewing tobacco and alcohol consumption. Do not use a straw to drink. The sucking motion can dissolve blood clots and start bleeding. Avoid intake of too hot or too cold foods. Do not touch the surgical area with tongue or hands. Wisdom teeth removal cost in Melbourne is affordable, and the procedure is common. 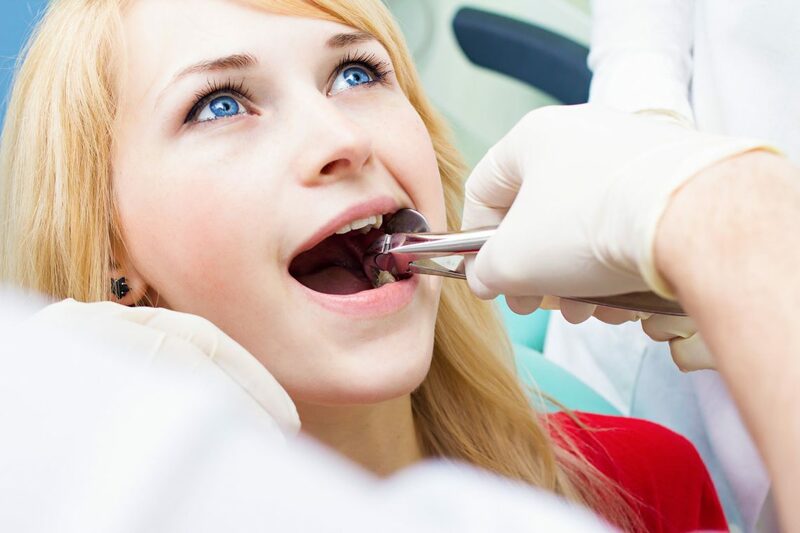 It is important to get them extracted by a professionally experienced dentist, and strictly follow these aftercare tips for a better and speedy recovery. Wisdom teeth or the last molars are the last teeth to develop in the late teens are in early adulthood. In some people, their jaws are not designed to accommodate four extra teeth that develop during your early adulthood. This inadequate space makes your emerging teeth to get trapped between the gums and makes it difficult to grow. This impacted teeth traps food particles and creates dental infection and other dental problems. Wisdom teeth removal in Melbourne can be done at one single appointment and the results are instant. By knowing the proper aftercare procedures make the healing process go much smoother. Here are a few aftercare tips to follow that are outlined by the leading dentists in Melbourne. The person undergoing wisdom teeth removal procedure will rest under the care and supervision of the dentist in their office immediately after the surgery until they are ready to be taken home. Also, the person should be accompanied by a friend or a family member to assist them in getting up from a lying position and help guide them if they need to walk or move around. For the remainder of the day, they should not involve in activities such as operating vehicles, machineries or appliances. During the first hour after the surgery your dentist will provide you with a care package that includes after-care instructions, extra gauze and perhaps some pain relievers. Fold and place the gauze pads over the surgical site, and bite it down firmly to make sure it stays in place. Gauze pads are widely used to stop bleeding. Being changing gauze pads after an hour if only there is active bleeding. The blood will begin to clot to form a scab over the extraction site during the normal healing process. This clot takes at-least eight hours to form and hence it is advised not to disturb this area at all during this time. So, do not disturb this healing process by interfering with the blood clot through vigorous rinsing, probing the area with your fingers or attempting to clean your teeth during the first day. Stay away from this surgical area at least for 24 hours after the removal of your wisdom teeth in Melbourne and do not disturb the stitches. Avoid using a straw, a wind instrument, whistling, cigarettes for at least 75 hours. These activities will cause enough pressure to dislodge a forming blood clot. In your healing process, it is very important to stick to an adequate and nutritious diet. Eat any nourishing food that can be taken with comfort. Restrict your diet to liquids or pureed foods, such as creamed soups, puddings, plain yogurts, milkshakes, liquid meal replacements, etc. during the first 48 hours after the surgery. And, avoid taking in hard and small food materials such as nuts, seeds, fruits with pectin/seeds, popcorn, etc. Visit https://affordabledentistcbd.melbourne/ for more information about wisdom teeth removal cost in Melbourne. Wisdom teeth that could not grow out of the gums fully because of obstructions of other teeth, and this causes impaction. And this in turn causes inflammation and infection as well as damage to the adjacent teeth. Wisdom teeth usually occur at the age of 17 to 21. When You Need to Seek a Dentist’s Help? If your wisdom tooth is impacted, then you need to opt for wisdom teeth removal. Some patients falsely believe that wisdom tooth removal is a painful one, as it requires surgery. But now with the advancements of procedures, your dentist can make your wisdom teeth removal in Melbourne stress free, pain free and comfortable. During the first appointment, the specialist of wisdom teeth removal in Melbourne will take an x-ray of his jaw bone and teeth to pinpoint the exact location of the impacted wisdom teeth. Your dentist will also explain the potential ill effects of ignoring the existence of impacted wisdom teeth. What to Expect During the Wisdom Teeth Removal Procedure? During the wisdom teeth removal procedure, general anesthesia will be administered to make you sleep if more wisdom teeth will be removed at the same time. After that, the gum issue of the impacted tooth will be opened and then your dentist will pull the tooth or in rare cases, they cut the tooth into smaller pieces for easy pulling. Finally, stitches will be put in place to close the gums. Aftercare Treatment – What to Do? The things you follow after the treatment will hardly decide the healing time and speedy recovery of the wisdom teeth removal. After getting your wisdom teeth pulled, you are likely to expect some kind of bleeding, pain and swelling. Apply ice packs to the outside of your mouth for every 20 minutes gap. Drink lots of lukewarm or cold fluids to keep hydrated. Whether you’re planning to have one wisdom tooth removed or all the four, don’t forget to discuss the wisdom teeth removal cost in Melbourne Keep in mind that by choosing the specialist of wisdom teeth in Melbourne, you can get through this procedure without complications and confusions! Wisdom Teeth – The name implies it’s a boon but for someone it doesn’t! The arrival of the wisdom teeth can make you suffer with tender gums, aching teeth and pain. Apart from this, wisdom teeth also cause potential dental problems to your dental health. In this article, we are going to discuss all the ins and outs of wisdom teeth removal Melbourne by stating what causes wisdom teeth pain and the tips to get instant relief from wisdom teeth pain. If there’s not enough space in the mouth for the wisdom teeth to come in, the problem arises. The wisdom teeth become impacted and painful, when your jaw is too small for the wisdom teeth to pop up through properly. Even if your mouth is too large to house the wisdom teeth, there might be a chance for complications. The teeth are flat, which creates periodontal pockets between the teeth and the jaw that are very difficult to clean. Bacteria and plaque can build up in these pockets, leading to tooth decay or gum disease. These symptoms indicate it’s the right time to remove your wisdom teeth. Recent statistics found that many patients get nervous about having the wisdom teeth removal surgery, but it’s a relatively short procedure. You can make the wisdom teeth removal process easier and stress free by consulting an experienced wisdom teeth removal specialist in Melbourne. Use anti-bacterial mouthwash that contains ingredients which will help numb the area, reduce inflammation, and ease the pain a bit. Rinse your mouth with a bit of warm salt water. The salt reduces swelling and has a cleansing effect, and the water can help to remove any food particles. Gently massage the area inside and outside of the mouth with an antibacterial gel. This will reduce pain and gives you a soothing effect. Take a painkiller as prescribed by your dentist; this will help you reduce the pain and help you sleep at night. There are number of reasons to get the wisdom teeth removed. Having these teeth removed can be a preventative measure that saves you from experiencing painful side effects such as sinus, ear, or jaw pain. At No Gap Dentists, our Melbourne wisdom teeth removal experts can work with you to schedule a convenient time to have your wisdom teeth removed at their dental practice. Get an appointment today!